Glamping in Scotland can sometimes seem at odds with the wild, remote, rugged beauty of the place. Bedding down in a king-sized bed with luxurious facilities doesn't seem as appropriate as pitching a tent and roughing it. But, once you're there beneath the stars, steaming in a wood-fired hot tub or lighting a campfire outside your family-sized safari tent, you'll realise that glamping can be wild, adventurous and thoroughly luxurious all at the same time. After all, Scotland is the land of golf and whiskey. It's about living the high life and enjoying the land. So, what are you waiting for? 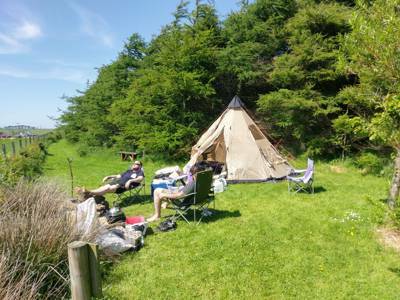 Whether it's a yurt on the banks of Loch Lomond or a convenient pod glamping break within easy reach of Edinburgh, discover the very best glamping accommodation in central Scotland with this hand-picked collection from the travel experts at Cool Camping. From summer bell tents to cosy winter shepherd's huts, discover the very best glamping getaways in the south of Scotland with this hand-picked collection of luxurious outdoor stays. From cosy shepherd's huts on the banks of the River Findhorn to glamping pods and summer bell tents on the shores of Loch Ness, discover the very best glamping accommodation in the Scottish Highlands here. Islay, Jura, the Isle of Mull and the mighty Isle of Skye... the list goes on. Whether you're off to the Outer Hebrides or taking a ferry to the Isle of Arran, find luxurious glamping sites and quirky accommodation on the Scottish Isles with this hand-picked collection. Remote, rugged Scotland is understandably a bit of a glamping Mecca. If holidays, for you, are all about getting away and escaping the frenetic modern world, then packing the car and whisking yourself away to the remote western isles of the awe-inspiring highlands has an obvious appeal. 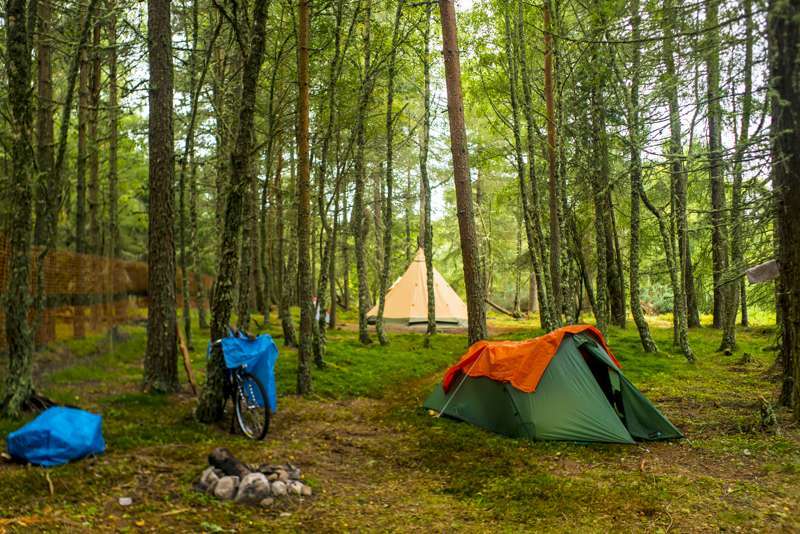 Glamping in Scotland isn't all about escaping the urban world, however. Here at Cool Camping our aim is to pick the very best glamping experiences, whether that be a remote, hilltop retreat or a special city escape. We've got glamping in a castle on the outskirts of Edinburgh and we've got island yurt retreats that are a ferry journey (or two) away. The one thing, however, that all our Scottish glamping recommendations have in common is that they are the true crème-de-la-cème of the glamping world and we're confident that, whatever your after, you'll love our hand-picked selection. Browse our collection now and book online today. The Romans may have famously never succeeded in conquering Scotland after over a century of trying (Northumberland's forts and Hadrian's wall leave a lasting sign to this day), but it's the relationship with England that has left the greatest mark. Despite recent votes and referenda, the two countries are still be inexorably liked by 1707’s Act of Union, but it wasn't that many centuries ago that the border saw constant turmoil, with great Scottish heroes such as William Wallace and Robert the Bruce still very much celebrated today. The 19th century brought wealth, while the 20th saw a move from traditional industries to oil and off-shore rigging, while rural work in agriculture and fishing still remains a core of the country's offering to this day. While independence debates continue, one thing is for sure, Scotland's unspoiled countryside and wild, rigged coastline is something that everyone, from every nation can appreciate. For glamping it is a natural haven and there are few places that we would rather be. 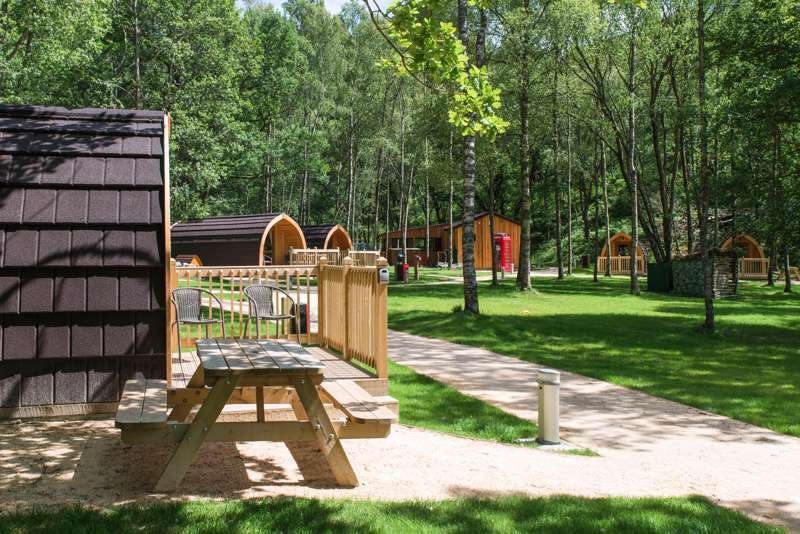 Seasonal Scotland is well known for its variable weather, so it's no surprise that a lot of glamping accommodation in the country involves solid structures, hard-roofs and a warm, air-tight set-up. There are, however, plenty of shorter-term glamping sites that are open during the summer only. 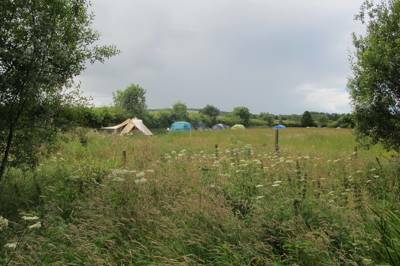 Such locations offer the likes of bell tents and other, airier canvas structures like tipis and family-sized safari tents. Sturdier but similarly seasonal, yurts are often available well into October, though generally yurt sites are also closed during the coolest months. Whatever the weather, though, shepherd's huts offer a cosy year-round space, often with wood-burning stoves and handy kitchen facilities, while the likes of wooden-topped gypsy roulottes and insulated pods are also popular. 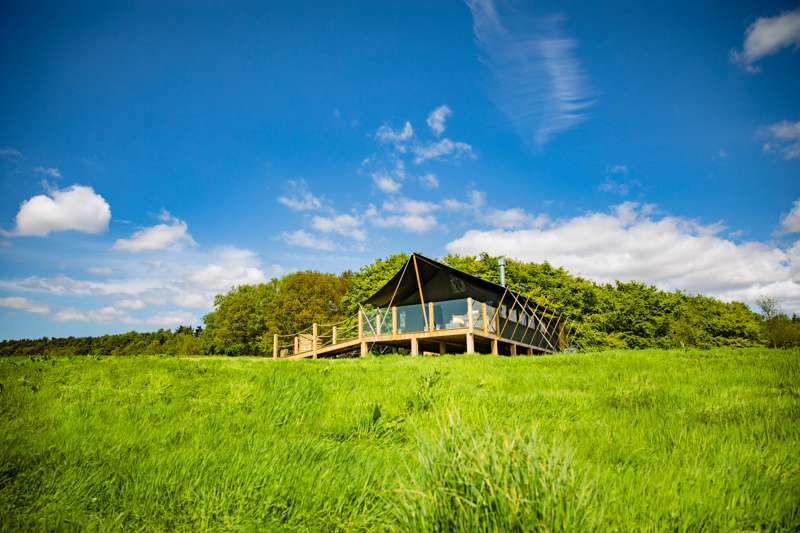 Not all glamping sites follow specific patterns, though, and, across Scotland, you'll also find a vast array of truly imaginative glamping offerings. There are multi-storey treehouses, converted army vehicles and even whole islands that you can hire all to yourselves. And here at Cool Camping we believe we have uncovered the very best. Browse our choices of the best glamping accommodation in Scotland today and who knows what you might find? – The sights, sounds and excitement of the Edinburgh Festival (and the city's numerous simultaneous events) in August. – Catching a ferry out to the Hebrides and Scotland's remote western Isles. – Wild road tripping from glamping site to glamping site on the North Coast 500 route. – Climbing Munros in the Cairngorms National Park. – Hunting for monsters on a Loch Ness boat tour. – Winter glamping in the mountains and skiing in the UK's best resorts. – Mountain biking in Galloway Forest Park. – Enjoying fresh and North Sea fish and chips on Scotland's east coast. Scotland's coastline is over three times the length of England's and twice that of France and Spain (and that does not even include some 800 different islands). Unsurprisingly, then, it presents a fair amount of logistical and geographical challenges. The country is best understood when split into four different parts: the fertile and flat Central Lowlands, the rolling hills of the border country of Southern Scotland, the Highlands in the north and then the array of different islands that are scattered mainly off the western and northern coast. The islands can then be divided between the Clyde islands, the Hebrides in the west and then the Northern Isles of Shetland and Orkney. Throw in almost 300 mountains over 3,000ft spread across some of the most vertiginous landscapes in Europe and you've got yourself a landscape thats rife for different glamping retreats. Despite this dizzying array of different places, however, getting around in Scotland has never been easier with an integrated network of planes, trains, buses, helicopters and ferries – plus the odd tram in Edinburgh and Glasgow. We generally recommend using a car to travel to most glamping sites in Scotland, as, most places, make the most of rural locations where public transport is often few and far between. For further information, however, see the 'Public Transport' section on each individual glamping site page. 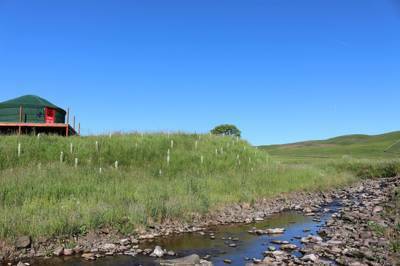 Glamping sites in Scotland, glamping in Scotland, glampsites in Scotland, Scottish glampsites, Scottish glamping, Scottish Glamping Sites at Glamping in Scotland, Discover the greatest glamping sites in Scotland, from Edinburgh's outskirts to the far flung Scottish Isles – with every glamping site specially selected by the expert Cool Camping team.